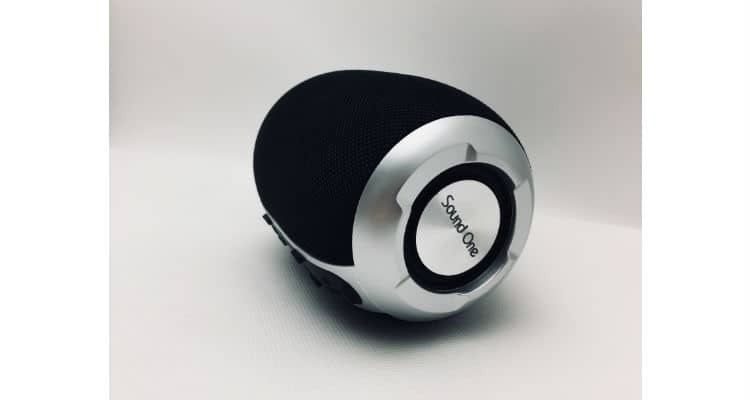 Sound One has launched Boom Wireless Portable Bluetooth speaker in India. The BOOM wireless portable Bluetooth speaker is a perfect gift for your tech-savvy sisters on this Raksha Bandhan, and that too, without giving her a hint about your tight budget. The Boom Bluetooth speaker offers incredible breathtaking stereo sound with deep bass delivered with exceptional clarity and zero distortion by high-sensitivity drivers. The speaker fills the room with pure, brilliant sound with 6 Hours of Continuous Music. It also offers Hands-Free Calling. One can enjoy the speaker as a loud speakerphone for free your hands with built-in Mic when calling, therefore, convenient for your life. The Boom Bluetooth speaker has Bluetooth 4.1 Advance Technology. The Bluetooth 4.1 connects stably from up to 100 feet away and is compatible with all Bluetooth-enabled devices. The Sound One portable Bluetooth speaker supports Aux-In & TF card for Non-Bluetooth Devices. The speaker is Durable, Portable & Water Resistant: The speaker comes with durable fabric material and metal finish with plastic housing, triple protection design i.e splashproof, rainproof & dustproof. Also, it’s portable & lightweight feature allows you to carry at park, beach or anywhere else at home or away. The price of the product is 2990 INR, with a special launch offer of 1790 INR for the limited time period.